Yes, it has been a few days since I’ve posted. You may think this is a blatant case of negligence. But I have a good reason. I’ve been in a deep, deep sugar coma. Who’s with me? If you work in an office, I KNOW you’re feeling it, too. It was like a revolving door of desserts for the past week- English toffee, brownies, peppermint bark (Dear Santa, please bring more of this at your earliest convenience. Love, everyone I know.) and cookies of the Christmas variety. And, this being my first day of vacation, what did I do this afternoon? Feeding the addiction, I am. 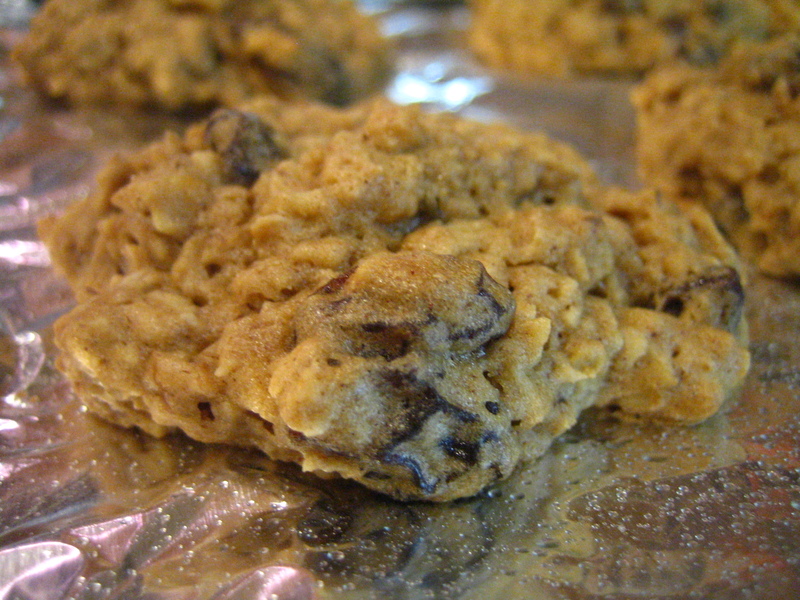 These are Smitten Kitchen‘s Thick, Chewy Oatmeal Raisin Cookies. And they are Megan-proof. In other words, you should make these cookies. 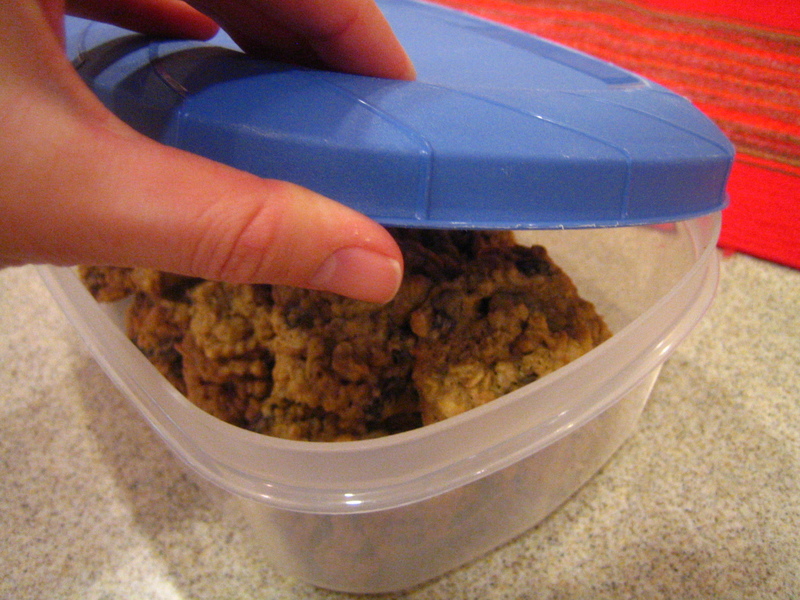 These are also great to make if you have any people with nut allergies in your life. I have a nephew with an allergy to tree nuts and sometimes it’s a struggle to make baked goods that everyone will enjoy since lots of chocolate chip brands are made in factories that share equipment with nuts. And let’s be honest, usually nuts or chocolate chips are a prerequisite for my baked goods. But these cookies are good. Better than good. 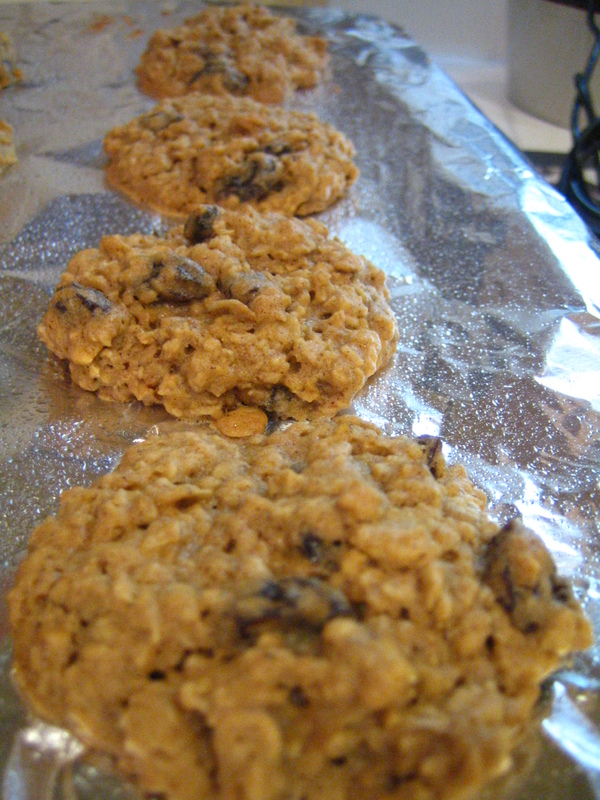 They really are thick and chewy and I didn’t miss the chocolate- almost at all! Now if you’ll excuse me, I have to go ruin my dinner. You didn’t miss the chocolate? I don’t buy it. I think we should plan a dinner that involves you cooking and me baking.